Protect new build properties from ground gases like radon and carbon dioxide with our range of gas membranes & DPCs. Gas membranes provide a barrier against harmful ground gases like radon, methane and carbon dioxide. They also act as a damp proofing membrane, protecting properties from moisture ingress. 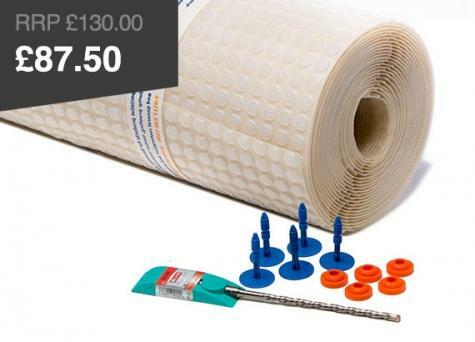 Permagard supplies gas membranes that are highly durable and puncture resistant, making them ideal for new flooring constructions. Radon is an invisible radioactive gas that is formed when the small amounts of uranium in rocks and soils decays. It is found everywhere, but at varying levels. Radon can cause health issues, including increasing the risk of cancer in some instances. Some areas of the UK have a greater chance of high radon levels and new build properties in these locations need protecting. In areas where radon gas is found at higher levels, it is important that radon barriers are used to prevent it from seeping into the building and harming the inhabitants. Radon barrier membranes and radon DPCs prevent gases from contaminated land like former landfill and industrial sites as well as naturally-occurring sources, entering a property. The radon barrier membrane can be laid either above or below the ground floor slab and the radon DPCs in either solid or cavity walls. Radon barriers effectively prevent ground gases from entering a property. As well as radon resistance, they also act as an effective barrier against methane and carbon dioxide gases. The radon barriers we supply satisfy all relevant Building Regulations. Radbar radon barriers are a passive control system. This means that they prevent the ingress of gases from the ground. It can become an active system when suitable ventilation fans are installed. The radon barrier membranes are designed to be installed in the construction of new concrete floors. 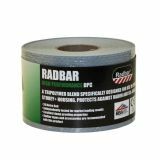 The Radbar radon membrane should extend the whole of the floor and walls. Make sure that it is laid on a smooth surface or one that has been sand blinded to prevent any punctures. 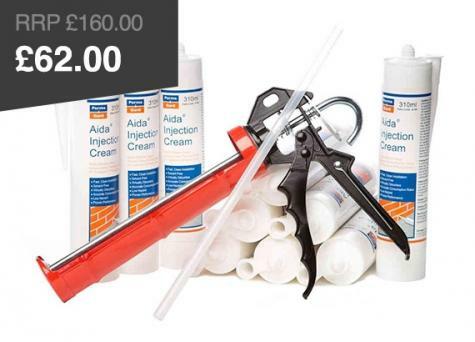 It is vitally important that all joints are sealed including under wall sealing. Radbar double-sided gas tape should be used to create a gas-tight seal. Ensure that the two gas membranes overlap by 150mm. The 1200 gauge radon membranes are high quality and very robust with a high puncture resistance. This makes them suitable for construction. In normal circumstances these durable gas membranes will remain effective for the lifetime of the building. 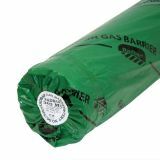 The gas-resistant damp proof courses that we stock are designed for use in walls as a horizontal, vertical or stepped gas proof DPC. They are suitable for both solid and cavity walls (when used with a cavity tray system) that have been constructed out of brick, block, stone or concrete. Our radon barrier membranes are manufactured by Capital Valley Plastics. All membranes adhere to radon barrier building regulations andhave been independently tested to ensure their resistance to underground gases. At Permagard, we’re committed to offering high quality products at low trade prices. 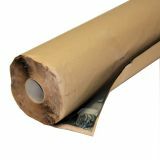 We aim to keep radon barrier costs down by using trusted manufacturers like Capital Valley Plastics. Permagard are experts when it comes to all types of damp proofing, basement waterproofing and gas proof membranes. Our technical team are happy to help with any queries around radon barriers and their installation. Call us today on 0117 982 3282. You can read our Gas Membrane Installation guide for more advice.